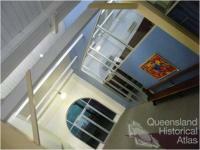 The Walter Reid Centre has long maintained a dominating, yet transformative, presence in the landscape of Rockhampton. At the turn of the nineteenth century, two warehouse buildings were constructed for Walter Reid & Co retailers and wholesalers. 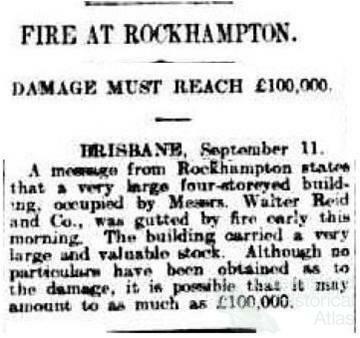 The first was constructed in 1893 and designed by Brisbane architect Richard Gailey, while a supplementary building (the current Walter Reid Cultural Centre) was constructed in 1902 by Rockhampton architects Hutton & Hockings. 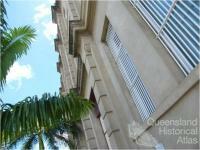 Lead architect Edwin Moreton Hockings also designed the Rockhampton Girls Grammar School and the Rockhampton Town Hall. According to locals, the Walter Reid building just keeps reinventing itself. 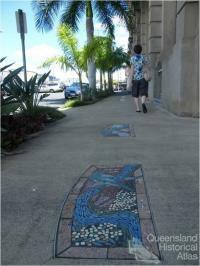 The Walter Reid Cultural Centre can be found in the heart of the warehousing precinct of old Rockhampton. According to a 1995 conservation study, it has a ‘great presence’, dominating the built landscape of the area due to its ‘massive bulk’, ‘long elevations’ and ‘rendered facade’. 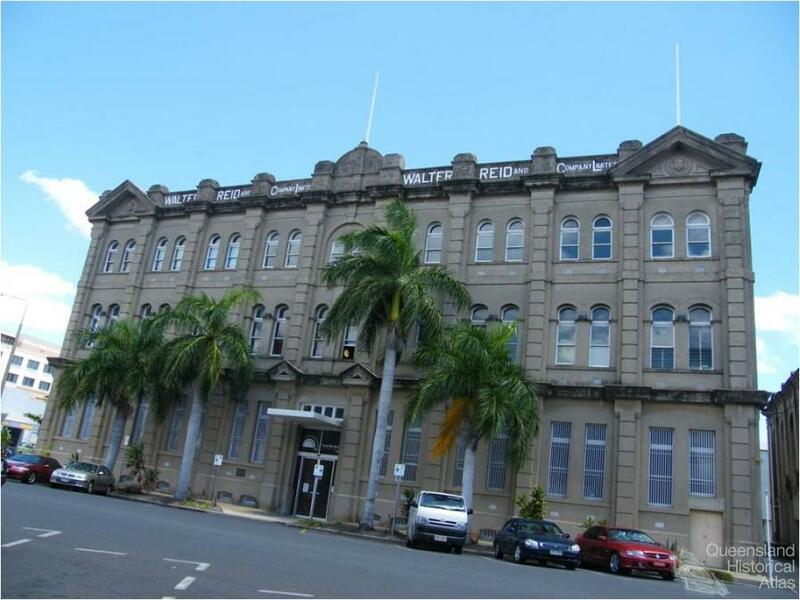 Over its 100 year history, the Walter Reid building has had various incarnations. 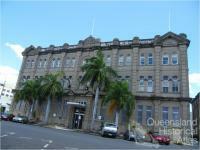 While other buildings of the period also characterise this area of Rockhampton, the Walter Reid Cultural Centre has retained its outward character the most successfully and remains the most prominent warehouse in the immediate built landscape. 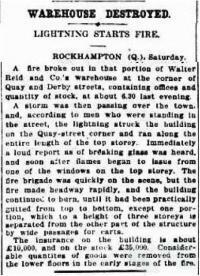 Walter Reid & Co was a successful business enterprise when Rockhampton relied on overseas imports. 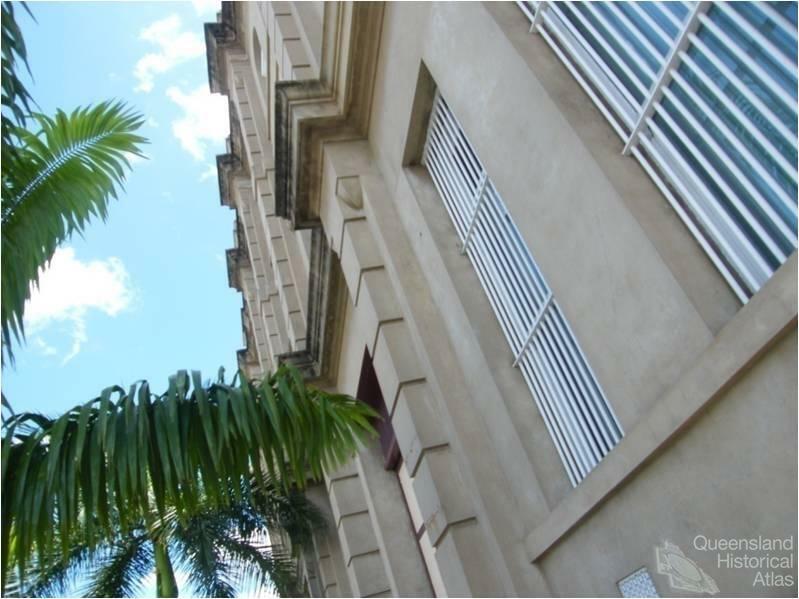 The success of the company continued until the mid-twentieth century, when changes in the marketplace and consumer demands decreased the profitability of their retail and wholesale business. 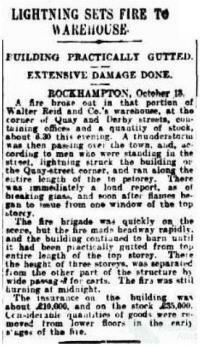 The training and servicing of some scores of thousands of United States troops in the Rockhampton district over a period of nearly two years overshadowed almost all other aspects of the local war effort during that period, and at the same time contributed an important chapter to the history of the city and district. 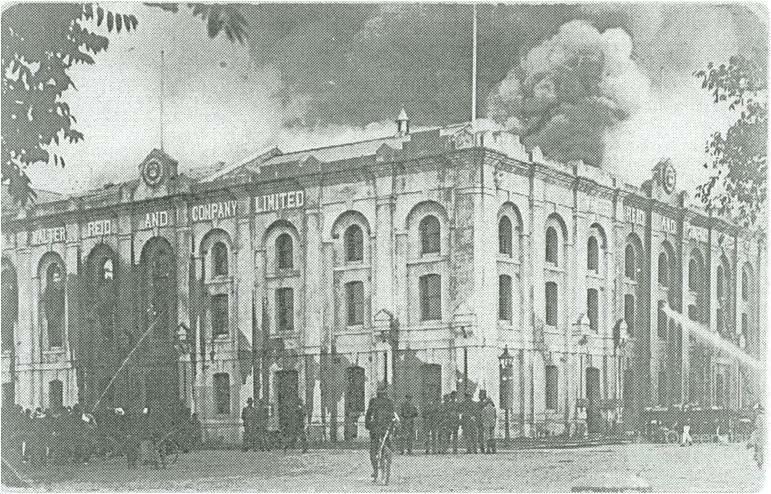 The Walter Reid & Co warehouses were occupied by the United States military under the National Security Regulations Australia Lend Lease. The second warehouse became a United States Army Hospital, operated by the 41st Division Special Services, I Corps Special Services of the American Red Cross. To facilitate the good behaviour of American soldiers, recreational and social activities were organised by the American Red Cross and the Special Services Department. 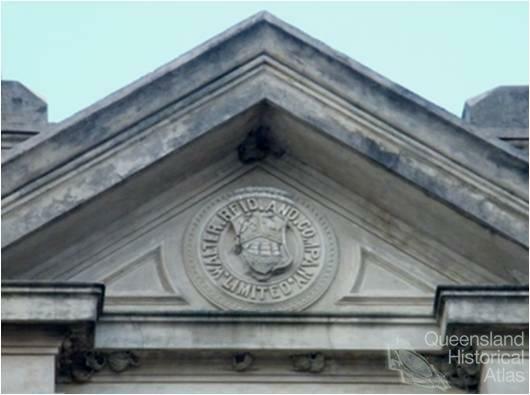 The Walter Reid Centre also became an army hotel and recreational club and sometimes dance hall for soldiers. Everything from a barbershop to shoe shining facilities was available to the resident soldiers. 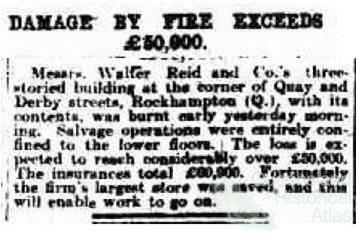 Although only half of the building was occupied, Walter Reid & Co had difficulty continuing their business operations in the already restricted space. 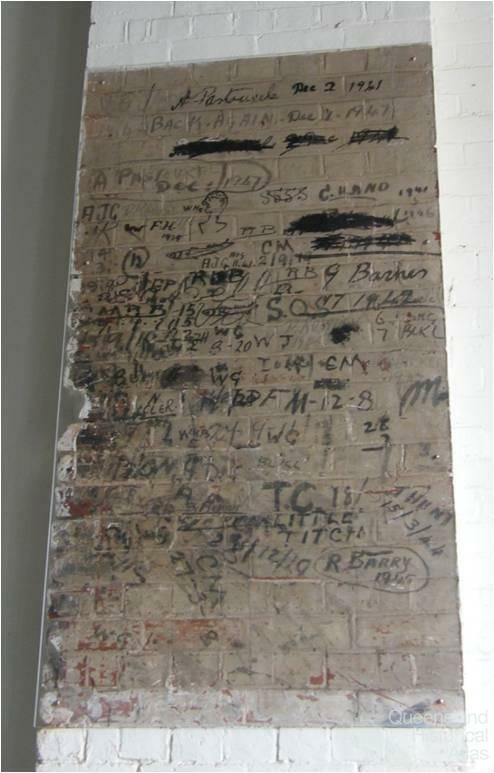 Some soldiers left their mark in the form of graffiti signatures on walls of the holding bay. One soldier wrote ‘A. 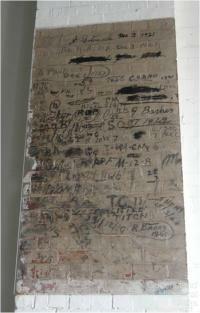 Pasrouke Dec 2 1941,’ followed by “Back Again – Dec 1 1947’. During the redevelopment of the building during the 1970s, major changes were made to the building’s interior - a lift and additional bathrooms were installed, the middle floor was segmented into rooms which could accommodate each of the new tenants, while the top floor remained largely an open space with minimum redevelopments. 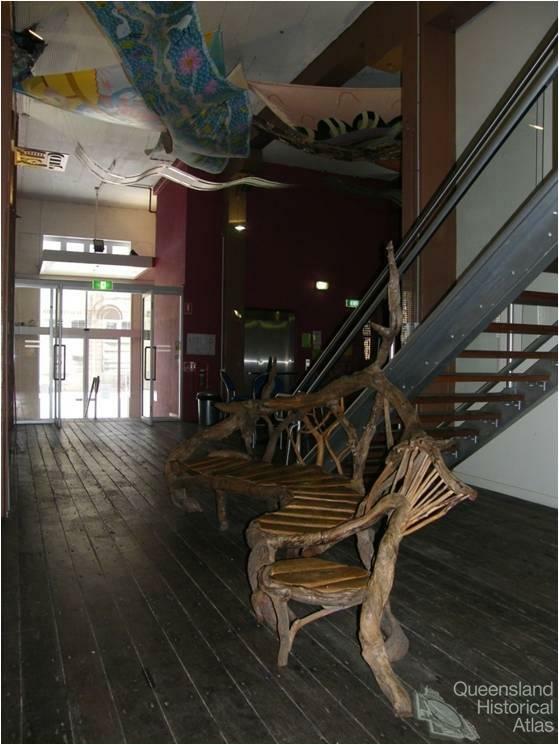 Much of the original fabric of the warehouse, from the heavy timber flooring, archways and fire escapes to the structural foundations of each of the ceilings of the three floors were reconceptualised to accommodate the needs of the cultural centre. However, the building developed a haphazard character over time – through uneven flooring, leaks when it rained and a variety of other quirks – that were evocative of its changing use and nature, but also its need to be reconditioned. 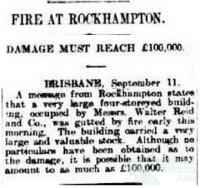 By the 1990s, the building had deteriorated into a state of neglect, located as it was in an increasingly derelict area of Rockhampton. 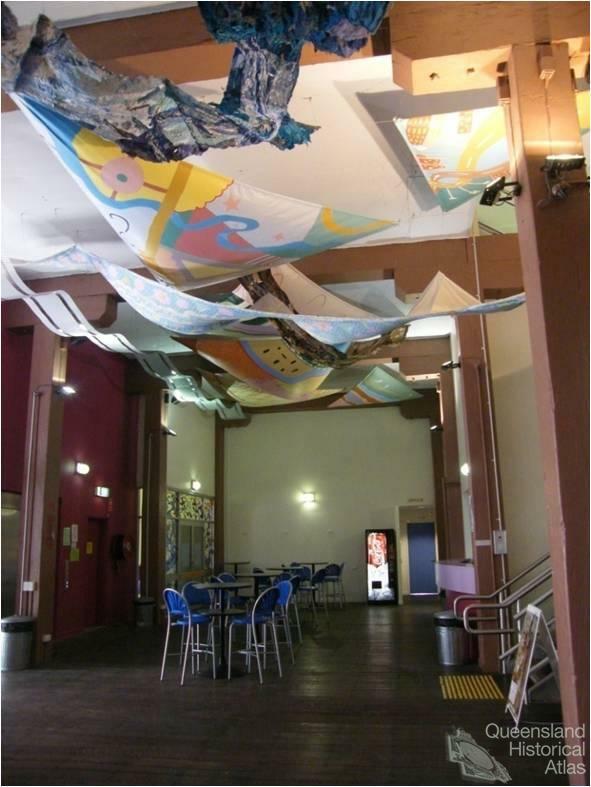 Although it was still a vital centre for the arts groups in residence, the desolation inherent in the building was not conducive to the spirit necessary for a vibrant community cultural centre. 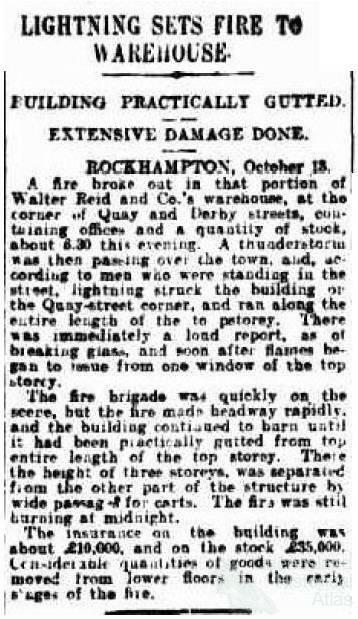 Therefore, in reference to the stipulations of the Burra Charter, the Rockhampton City Council revitalised the inside of the building. 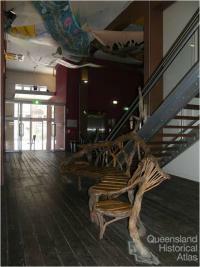 The refurbishment of the cultural centre in 2002-03 saw additions that improved the structural and functional liveability of the centre. The refurbishment was undertaken so that much of the building’s original fabric survived to show how the building operated as a warehouse. The wood of the ground floor was retained, the new ground floor staircase was framed by an original heavy wooden beam, an old metal machine situated on the wall from the middle to the top floor was painted and featured, the archways of the top floor shaped the new glass door frames to various rooms. Additionally, a small auditorium was built on the ground floor, the middle and top floors were re-segmented for a more economical use of space, while several internal staircases and an additional lift were installed. 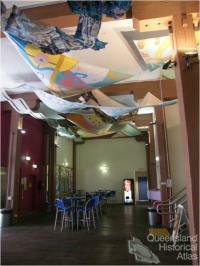 These changes invigorated the space to create the atmosphere of a cultural centre. 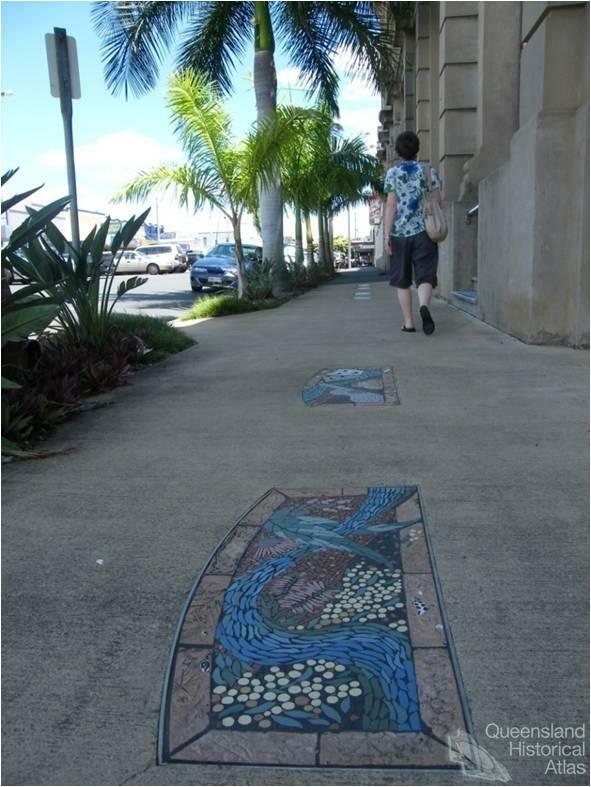 The palm trees that frame the entrance to the cultural centre and the community-designed mosaics on the footpath establish the atmosphere of innovation and creativity that now defines the building as a cultural centre. A strong sense of colour is prevalent throughout, in vibrant rather than ‘heritage’ colours. 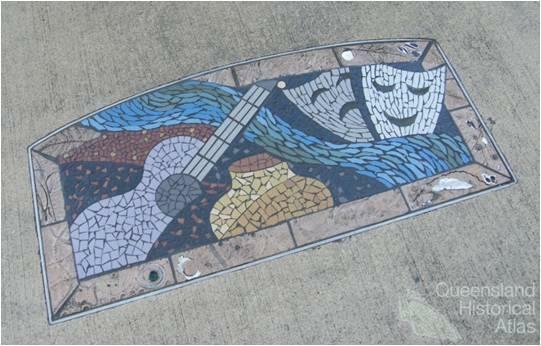 Paintings by local artists are featured. 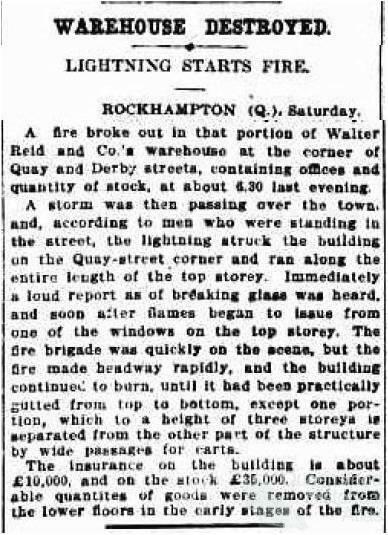 From its origins as a warehouse that served the people of Rockhampton, to its occupation during World War II and current incarnation as a cultural centre, the Walter Reid Centre is itself ‘back again’.